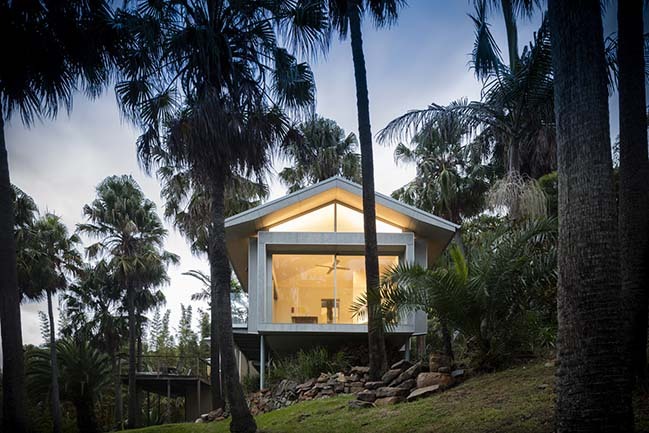 Amongst the palm trees; the impression of being-in and around the Bilgola Beach Pavillion. 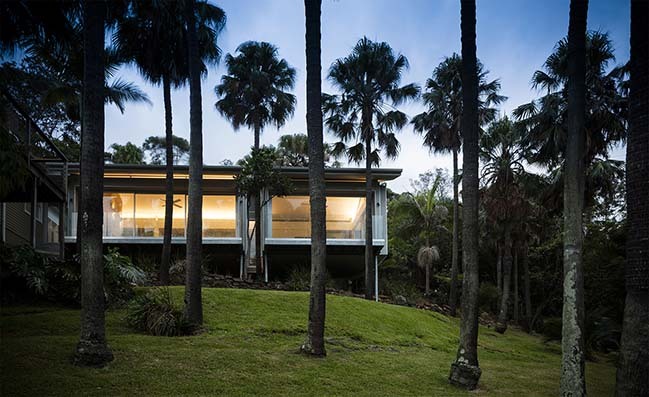 Situated on the foothills to Bilgola Beach in Sydney’s north, the pavilion emerges over a sloping meadow of heritage-listed Cabbage Tree Palms. 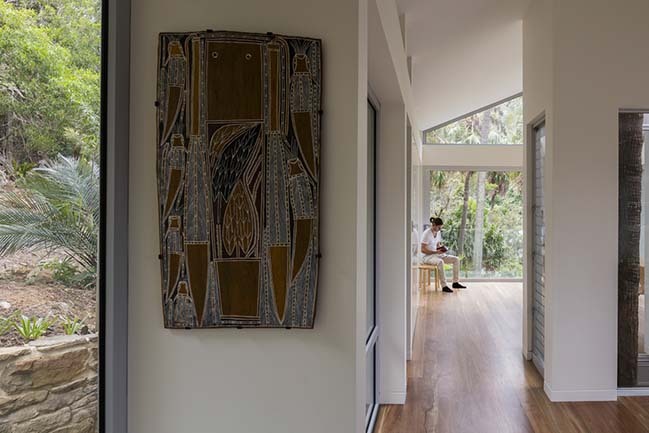 From the architect: The clients’ brief was to create opportunities for art-making and family gathering. 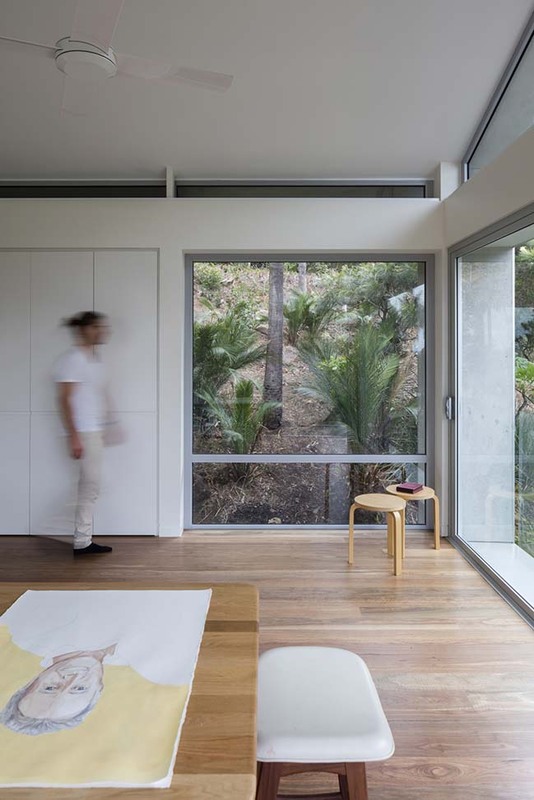 As an addition to an existing weatherboard cottage, the pavilion was to include a large living space and artist’s studio that was connected to the cottage through a new entry vestibule and courtyard. 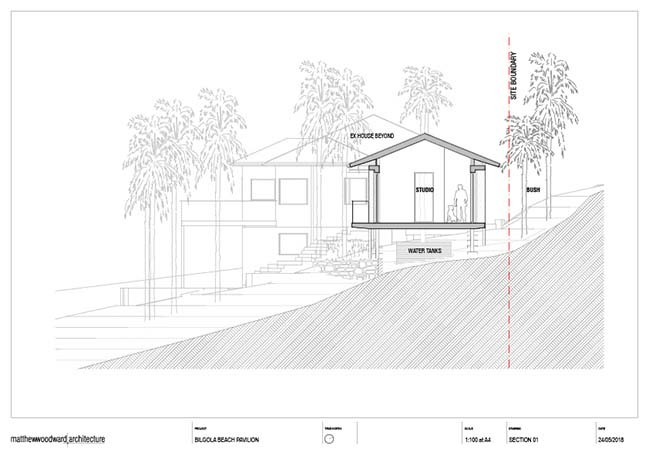 The design was to negotiate the existing array of heritage-listed palms, which were to be protected. Our response was to celebrate these palms. Like slender stalks, the lightweight pavilion floats gently over the clearing on steel columns. 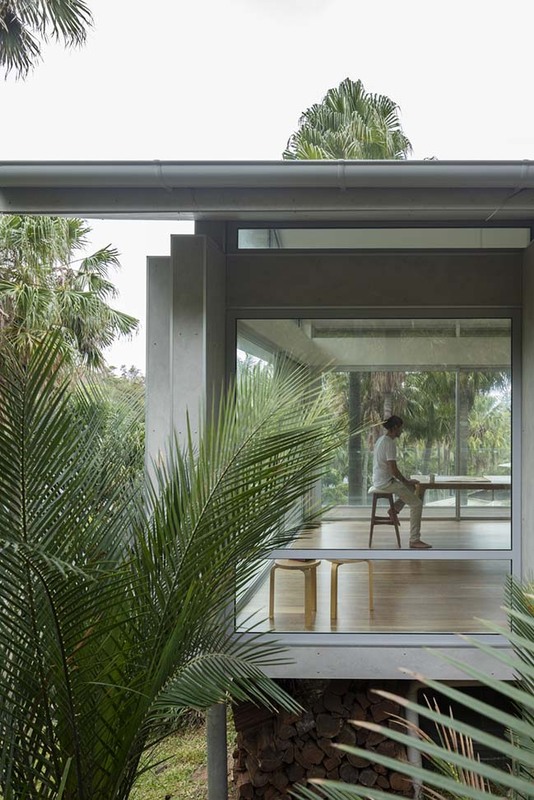 The building also is scalloped into two bays around an existing palm, so that the tree is integral in defining space and program between the living room and studio. 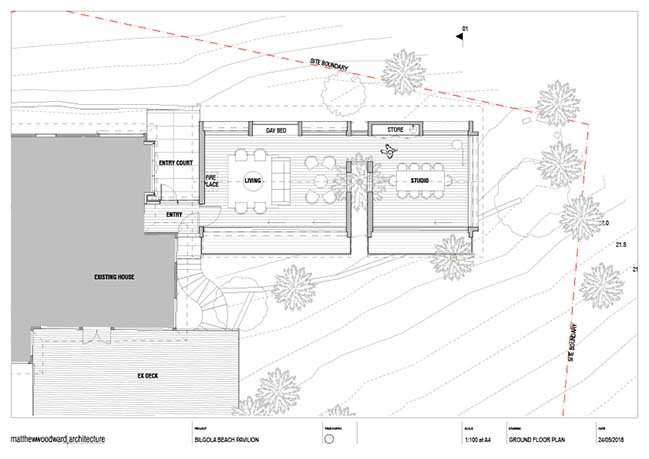 This elevated outlook means that the pavilion enjoys easterly canopy views towards the Pacific Ocean and the plateau. 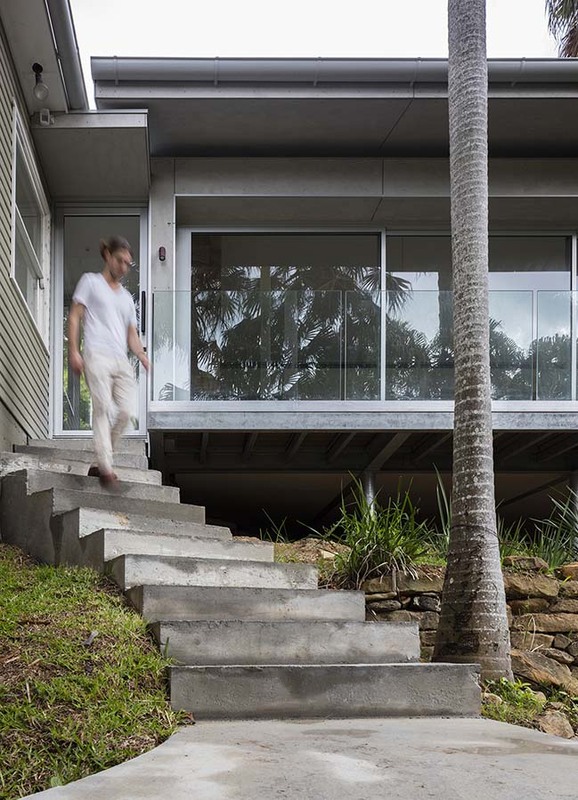 The west edge of the pavilion faces a hillside reserve, which provides an immediate Australian Bush backdrop to the internal program. 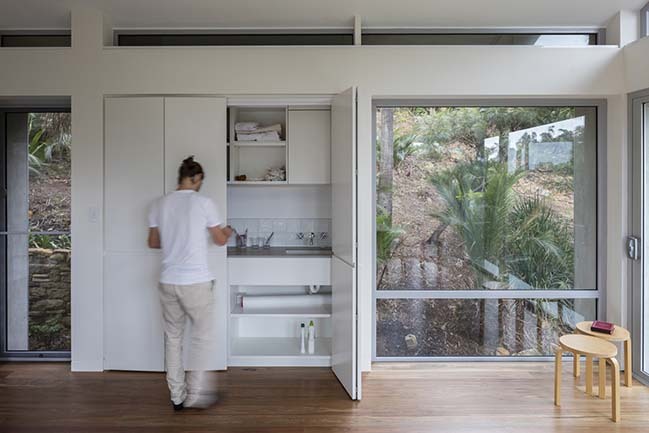 The combination of a floating ceiling on steel fingers and the provision of sliding, fixed and highlight glass means that these views are always available. 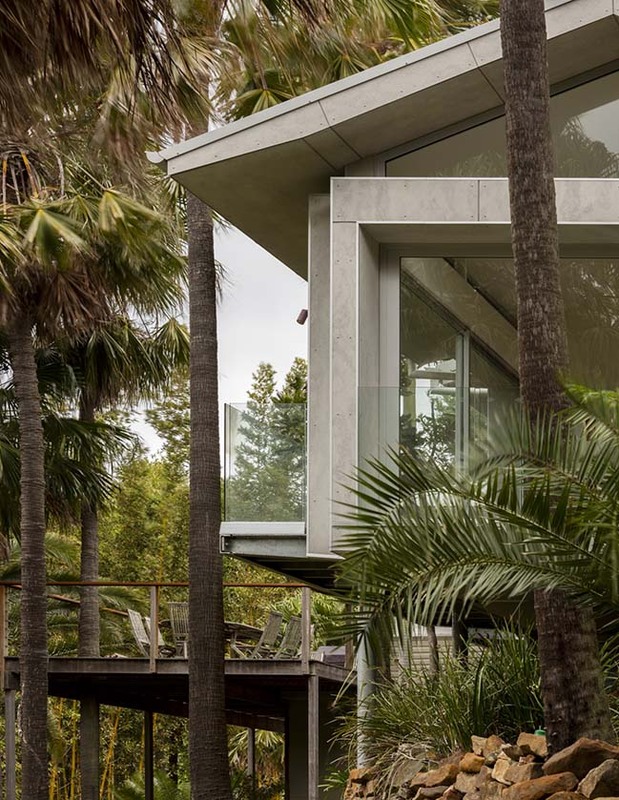 A subdued material palette of grey fibre cement cladding and metal roof sheet means that the building is settled calmly in a sea of Australian greens. 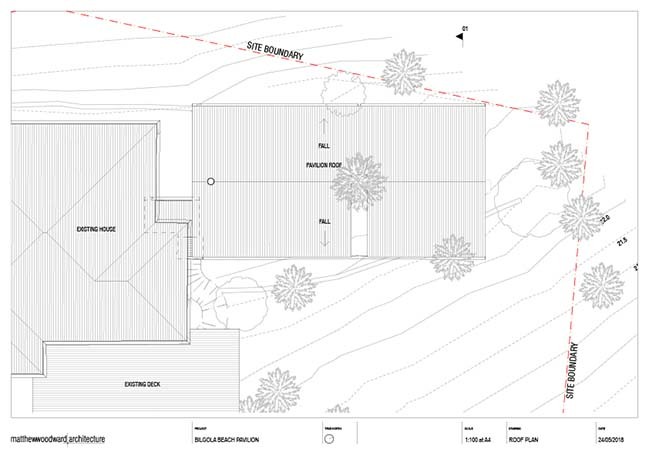 The non-combustible materiality also provided means for us to discreetly manage flame-zone bushfire requirements. 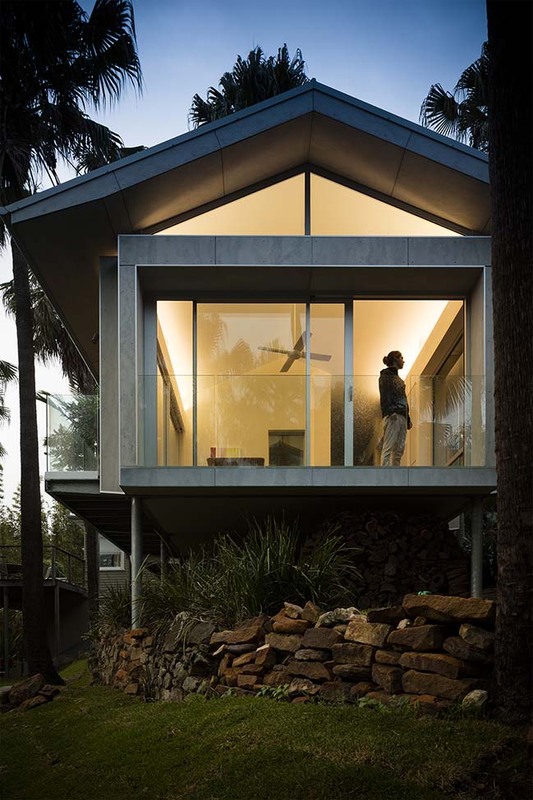 The glass is rated for bushfire exposure. 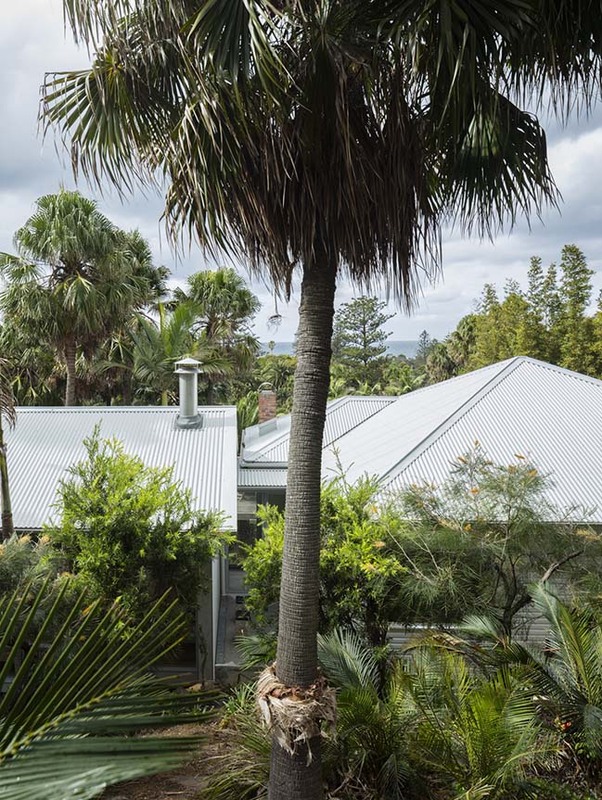 The success of the pavilion lies in its veneration towards the Cabbage Tree Palms. 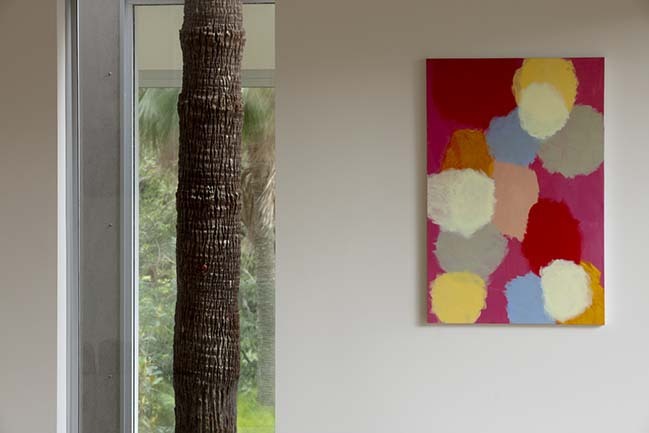 This harmonious connection to place enables an experience of tranquil calm that fulfils the aspirations of the clients’ beach-side home.